Bemini topper! The best, most comfortable and safest way to sleep your baby and therefore the number 1 in sleeping bags. 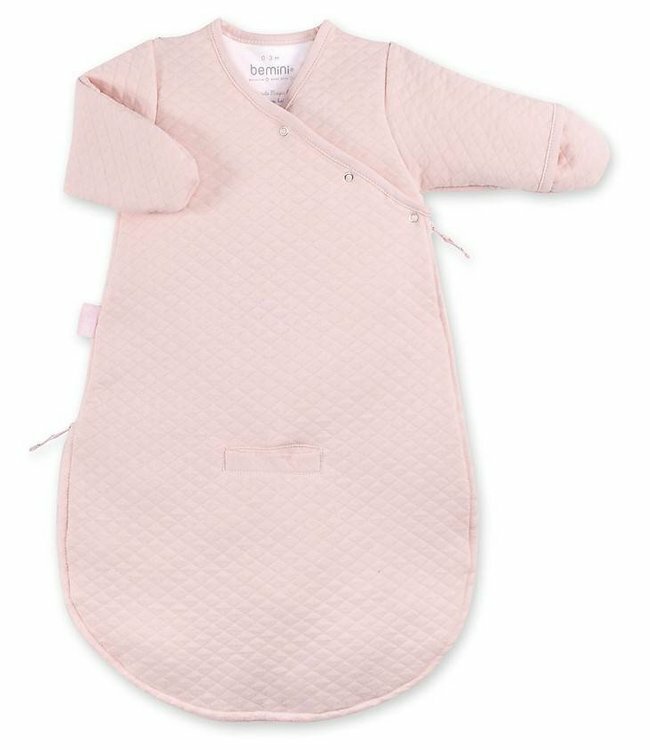 The sleeping bag keeps your child warm and thanks to the easy openings it can be used in a bed, during a walk or in the car seat. The sleeping bag replaces a blanket and lets your child move, sleep and play and protects against the cold. Practical, comfortable and trendy. Suitable for spring, summer and it gets colder in the autumn than you can use it. Is it too cold? Then you can switch to the hottest winter sleeping bags in Softy and Pady Jersey. The sleeping bag can be used without feet. So that your child can walk in and play. But you can also flip the ends like slippers so that the feet stay nice and warm. 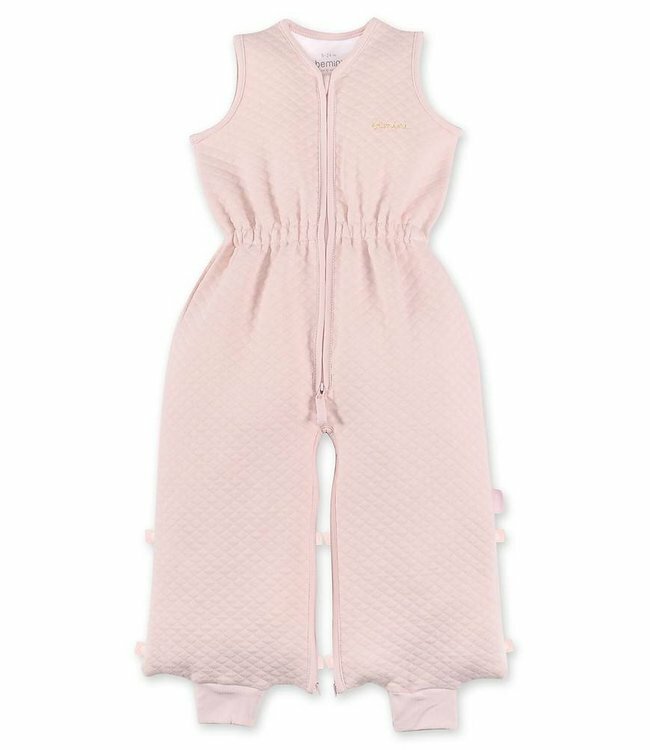 The adjustable waistband allows you to adjust the sleeping bag to the body of your child. So that it is comfortable and comfortable. Low maintenance, machine washable at 30 °. The TOG value indicates how warm a product is, taking into account the ambient temperature. The higher the TOG value, the warmer the product. Additional information about Tog values. All Bemini products carry the European Oeko-Tex certificate, the guarantee that the substances are free of toxic products for the body and nature. Your baby's skin is protected against the risks of skin irritation and allergies. ♥ Bemini 0-3 month summer sleeping bag Kilty Dolly light p..
♥ Bemini 18-36 months summer sleeping bag Kilty Dolly Ligh..